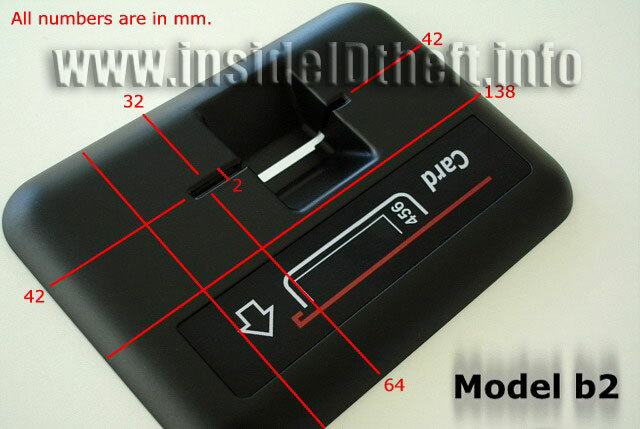 ATM Card Skimmers, Debit Card Skimmers and Credit Card Skimmers images. These images are strickly for educational purposes. We do not sell any equipment. ATM keypad overlay and ATM Card Skimmer (yes, they come in English versions). 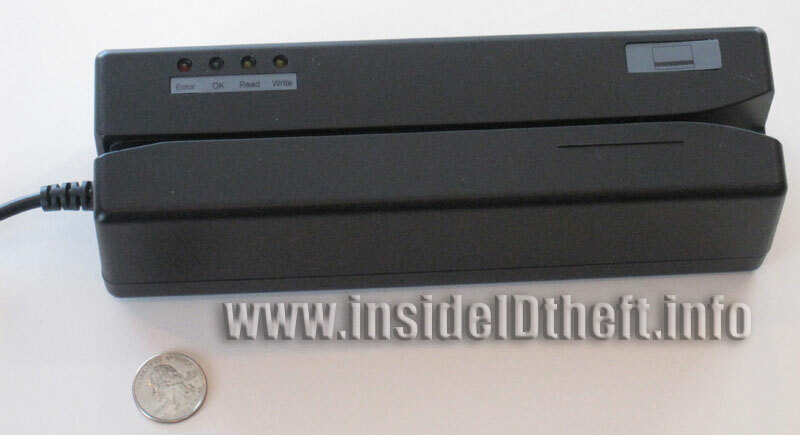 This device is overlaid onto an existing ATM machine keypad and allows the ATM machine to function properly while it records the keystrokes (i.e., steals customer PIN's). 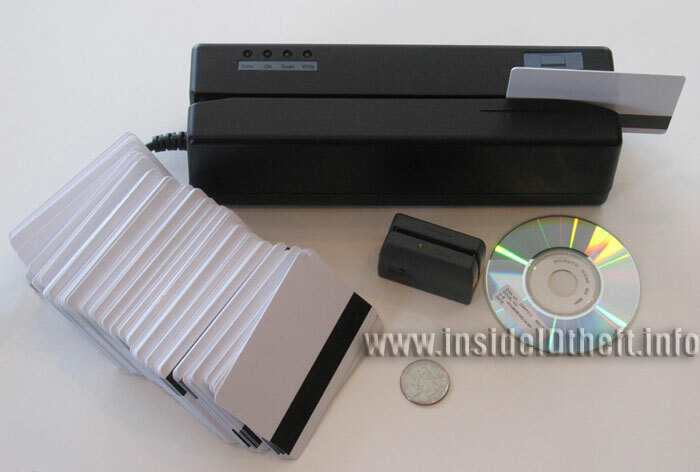 The card slot overlay simultaneously records the data on the ATM cards magnetic strip. Thieves download the collected information onto a computer at a later time and can clone the stolen ATM card onto blank card stock. 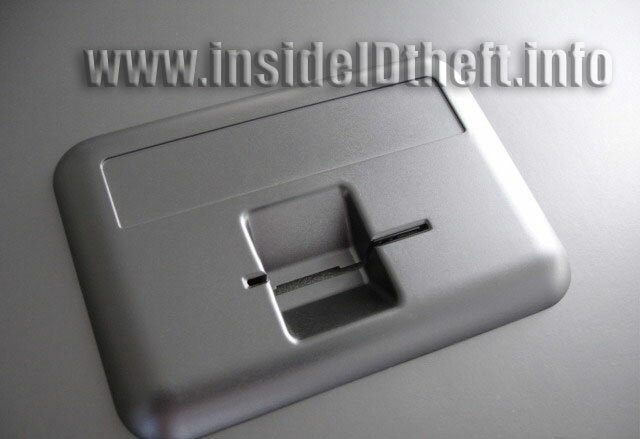 These card skimmer images are for educational purposes. We absolutely do not sell any equipment. Credit Debit ATM card reader and writer. Due to the larger size of this device it is primarily used to “write” stolen data from the magnetic stripe on the back of a card onto a new blank card (which can be blank card stock or an old credit card which has been made blank). Once a card has been written it is recognized by machines as the original card. 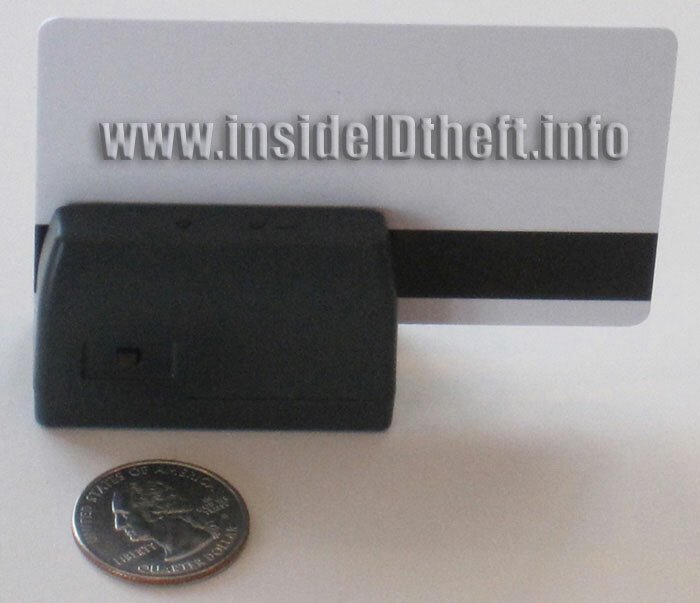 Credit Card Skimmer - this credit card skimmer is very small and thus often used by waiters and taxi drivers (any point of sale person with access to your credit card) to skim your credit card secretly. 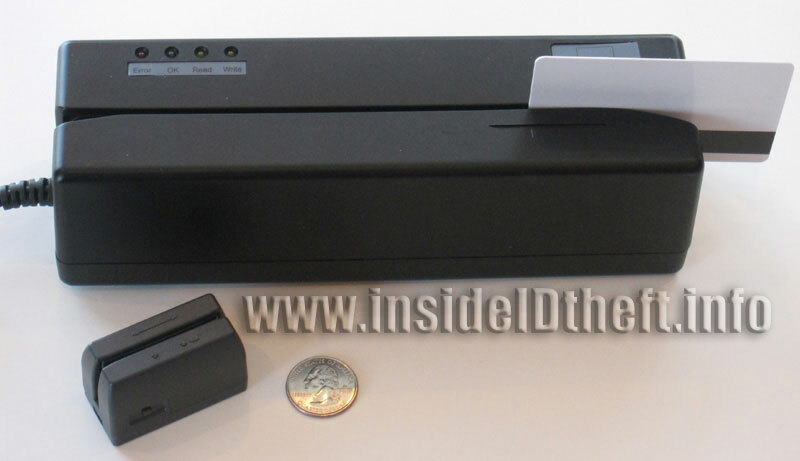 As this credit card skimmer can hold information from multiple credit cards, the thief can download the information off the credit card skimmer onto a computer at a later time. 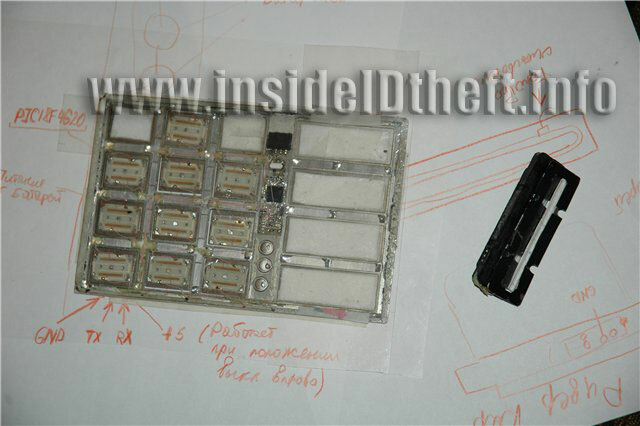 This Credit, Debit, ATM card skimmer and writer plus small skimmer, blank credit card stock and software was purchases as a bundled package legally in the U.S.. The devices are legal but are primarily used for illegal purposes. 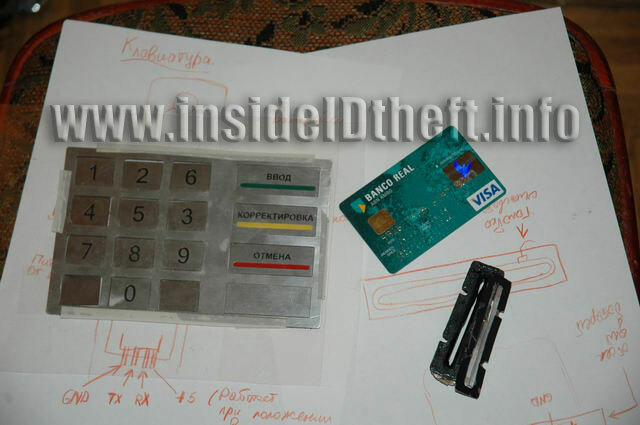 Note that altough ATM card skimmers are typically attached to an ATM machine and are represented by the other photos on this page this device can moth read an ATM card and write a clone card onto blank card stock. These images are for educational purposes only. We do not sell or endorse the use of any of this type of equipment. Card skimmers are unfortunately available to identity thieves and our mission is to make law enforcement and the public aware of how individuals are being scammed and what specifically to look for in order to protect yourself from identity theft.